Communication Studies is offered through the division of Communication Arts in the Warren M. Angell College of Fine Arts. The goal of Communication Studies is to teach you important principles of communication that will help you succeed in your career and personal life. Our courses introduce you to communication principles in organizations, across cultures, in the family and in public communication. What makes an OBU Communication Studies degree special? Employers consistently list communication and teamwork skills in the top five qualities any successful employee in any career field needs to possess. You will learn how to deal with conflict effectively, analyze messages you receive, and collect information for making good decisions. These are all skills that will help you prepare for your own career goals and build successful relationships in any profession. Get involved with a number of student organizations, including the OBU Debate Team. What are OBU grads doing with their Communication Studies degrees? Our students have done campaign work for non-profit organizations and political campaigns. Students have served internships with U.S. Senators, First Lady Laura Bush and other community leaders. Other students have pursued graduate degrees and have become professors and researchers at the university level. Some students have successfully started their own businesses, and some have gone into corporate and ministerial training. 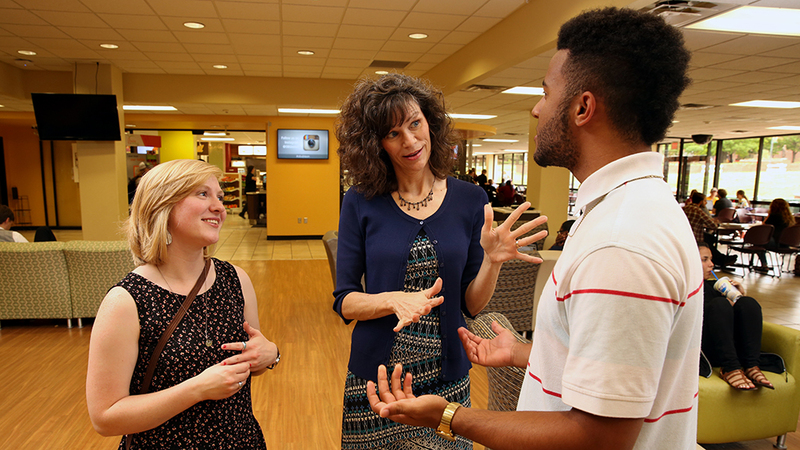 Learn more about our Communication Studies faculty.